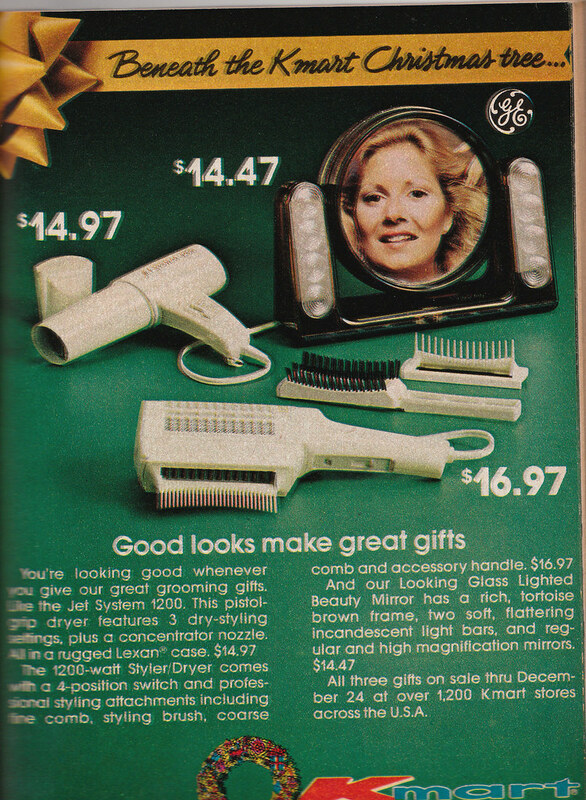 This mini-catalog was in the December 1977 issue of Reader's Digest. Not much to say about it except - holy crap this stuff was expensive! I guess that's what happens when you don't use Vietnamese child labor and actually pay U.S. citizens a living wage to make stuff in the States. Novel concept, huh? You're probably right about the price translated to today's dollars (Minimum wage was around $2 back then). But the electronic items were being made overseas, even then, I believe. But in other countries without communist governments. 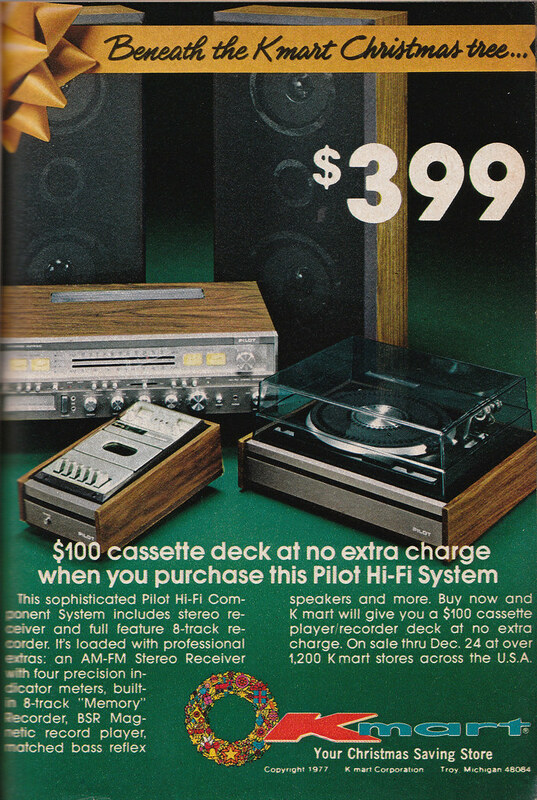 That Pilot stereo system; I like how they took a regular portable cassette tape player and built a fancy wood and brushed aluminum case around it with heavy duty buttons and added some VU meters (ah, it's actually stereo!) and called it a component. I had two of the items listed, both were gifts. 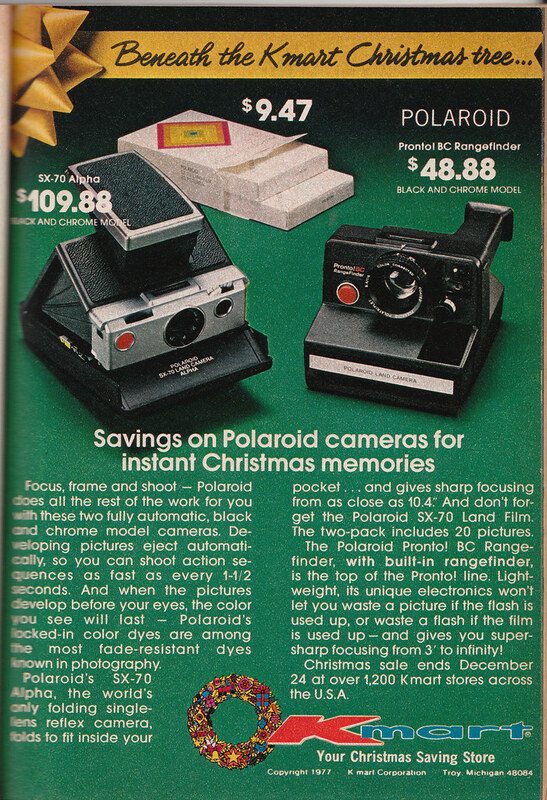 The polaroid camera was a gift from my aunt & uncle, and I remember the film was expensive so I hardly ever used it. The second gift was the alarm clock shown in the last photo. It was a "gift" from my mother. Actually a not so subtle hint that I needed to get up on time for school. The alarm clock lasted forever. 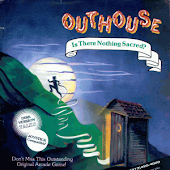 I finally wound up giving it to a Christian thrift shop. 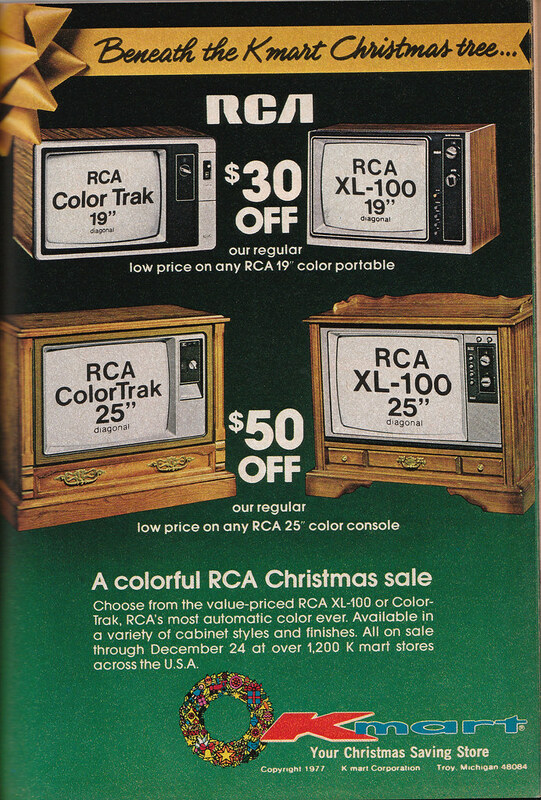 Actually back in the day those prices are pretty good, alternative was to go to some expensive department store, TV and stereo shop or an appliance store and get some brand name thing for much more. 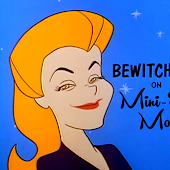 Stuff like that wasn't available in flea markets or thrift stores, etc. Ya just had to be there. 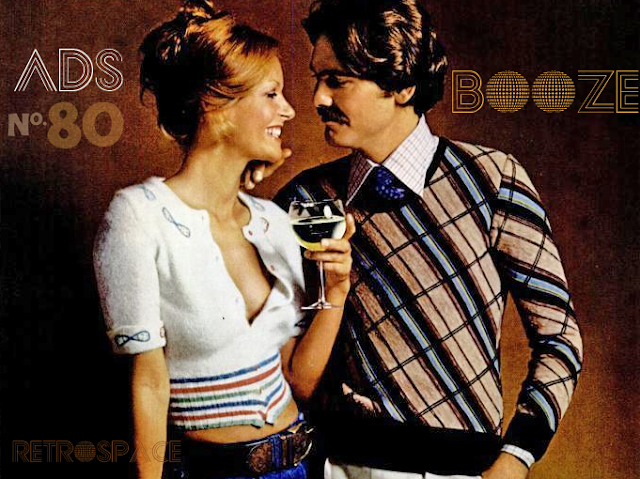 Lots of medium to higher end stereos used top loading cassette decks, although they were out of style by 77. I had a Panasonic Technics top loading deck that I think I paid around $200 for in 1975, but it had Dolby and metal tape bias switch. I get your point by inflating these prices to today's values but in actually, for many reasons, functionally equivalent items today cost much less than the inflated price. 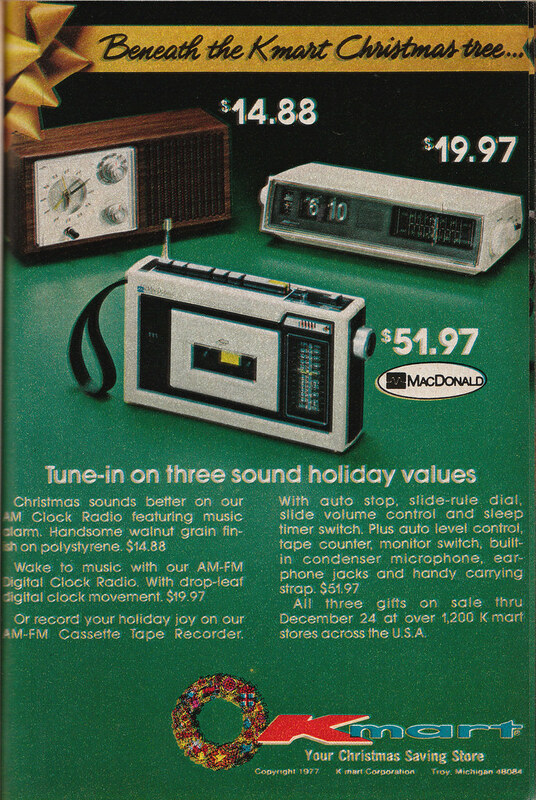 For example, you can buy a clock radio like the one shown above at Target for about $20 today. No inflation there. 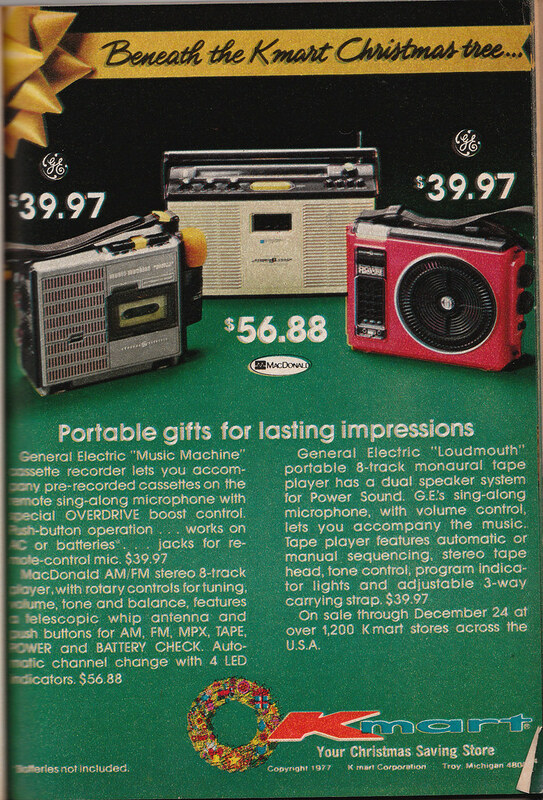 For a few more bucks you can get a clock radio that plays CDs or that you can plug your iPod into. 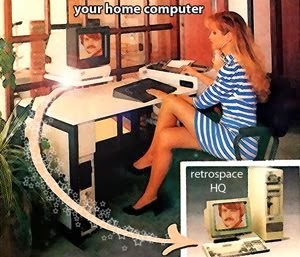 The television is even more ridiculous. For $2500 today you can get a 70" flat scree TV. 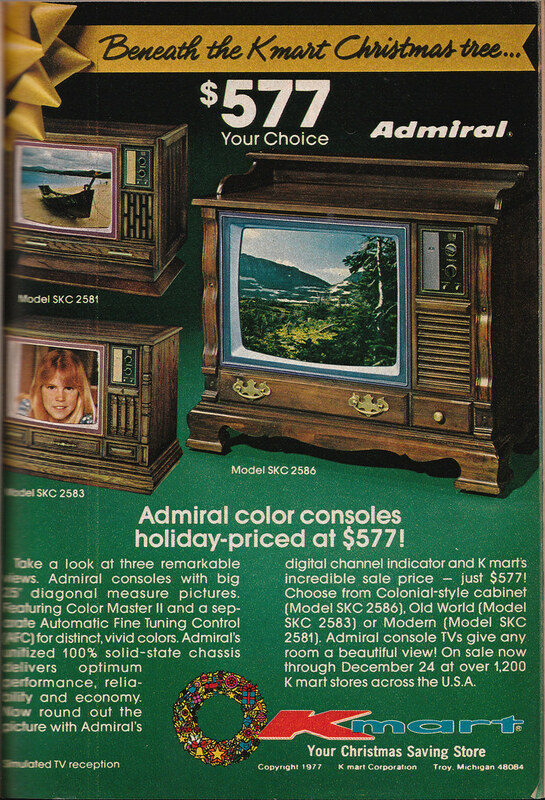 $500, less than the TV above, will get you a 50" TV with features nobody even dreamed of in 1977. 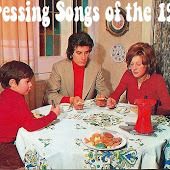 Another thing to consider is these were state of the art appliances at the time. You'll easily $2000 for a state of the art television today, so the prices are comparable when considering that. 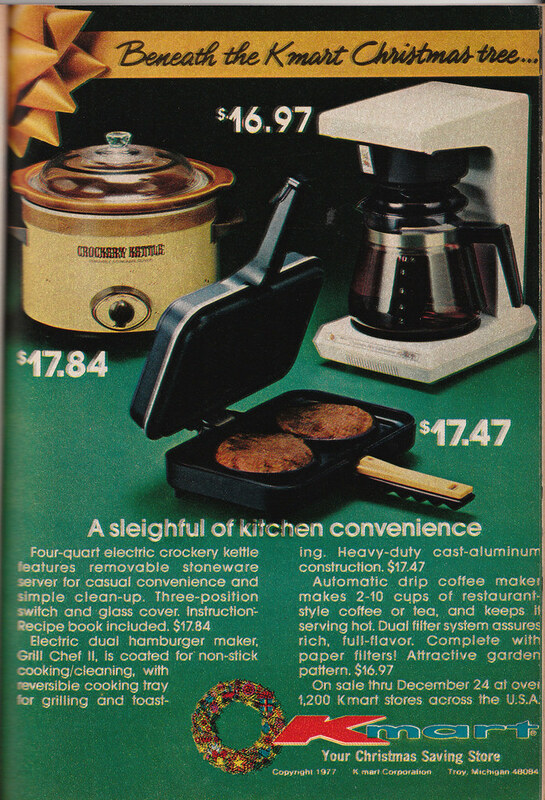 Even at $2.50 an hour, $14.88 for a clock radio did not seem that expensive. 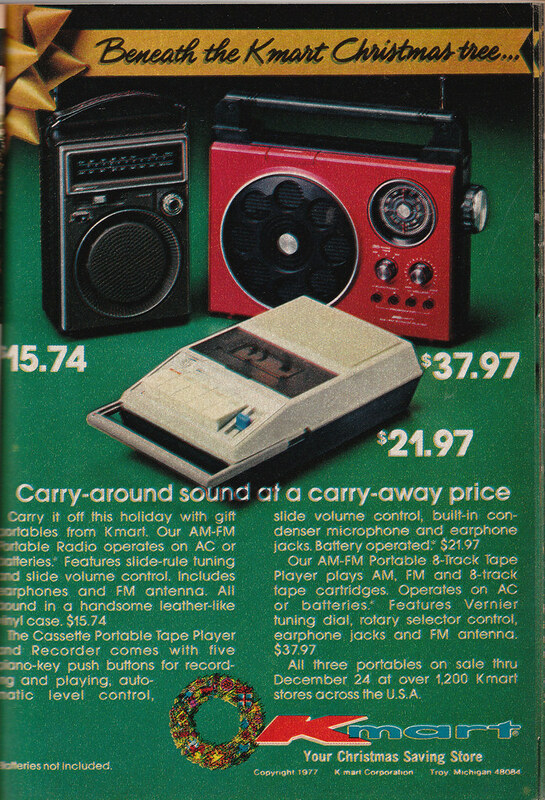 And 30 some odd years later, a clock radio can still be had for $14.88. Prices have gone down for the general public and I am not sure that is a bad thing. Things are seldom as black & white as we want them to be. 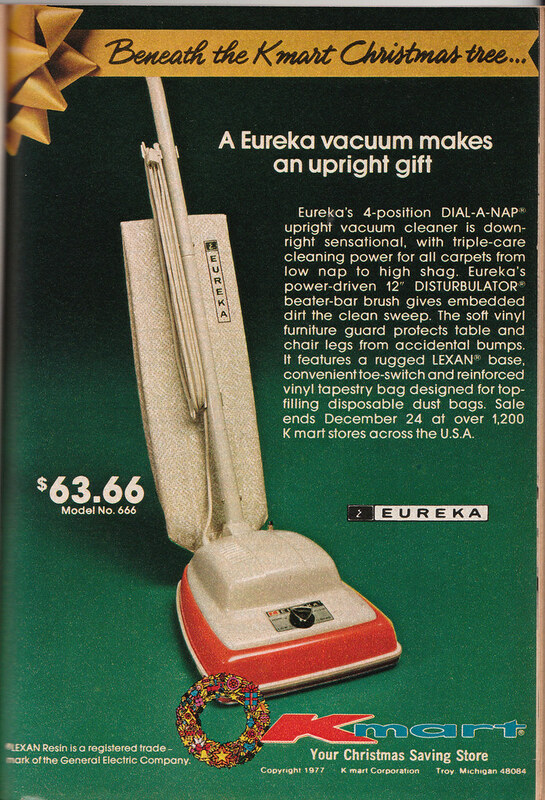 And I bet the items in that catalog would still work. I have an alarm clock very similar to the one in the last picture - bought over 30 years ago. It still wakes me up every morning. If I were to buy an inexpensive alarm clock today, I'd expect about a year's use out of it, and consider myself lucky to get two years. Planned obsolescence! I remember my first VCR from 1984 lasted 11 years. My second VCR from 1993 lasted eight years. My third VCR from 2001 lasted four years. 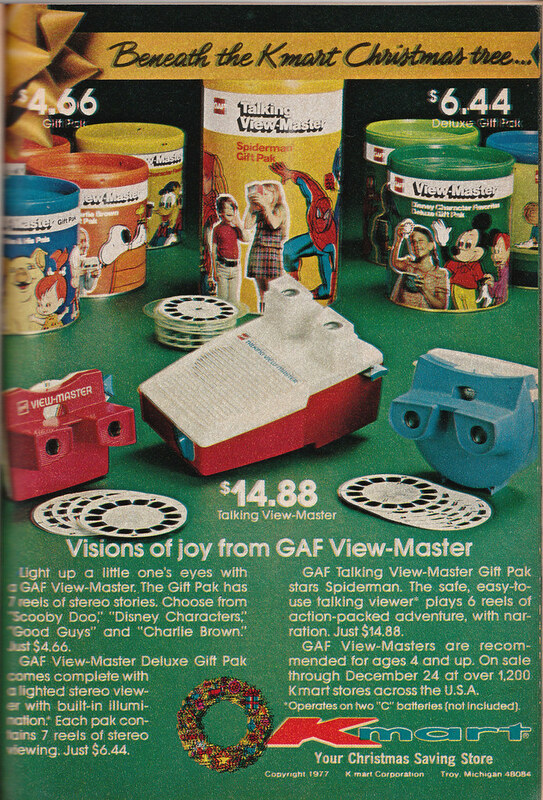 the viewmaster is my favourite. fantastic! 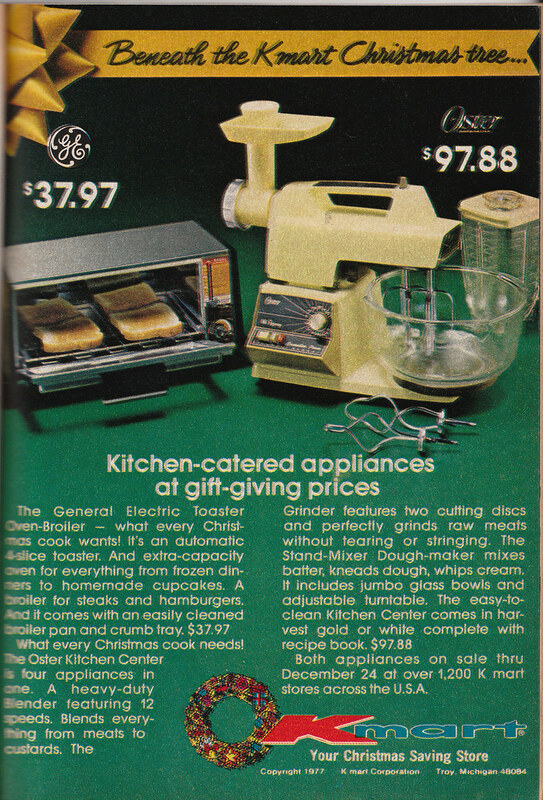 some things have even stayed comparable to their inflated 1977 price- for example, a KitchenAid stand mixer would cost about as much as that Oster Kitchen Center. Hella expensive, but I always wanted a KitchenAid stand mixer and I'll probably have to wait until I get married to get one (hooray for bridal registries! ).